Our cutting-edge, high visibility real estate marketing offers a fresh approach to get you moving faster. We constantly re-evaluate the market and tailor our efforts to get your home sold molding to the dynamics of today’s market. Bottom line, we are committed to get your home sold! • MLS: Positions your home in the “for sale” market as well as "Coming soon." • Staging: Professional preparation of your home enhancing features and design.  • TheLegendTeam.net: Your listing is listed with photos, information and virtual tour. • Listed placed on North Texas Real Estate Information Systems, Inc. (NTREIS). Reaches 30,000 MLS subscribers including 6,000 real estate offices. • Photo and home information emailed to all agents with a buyer looking for a home on the local North Texas MLS portal. We are able to locate these buyers with a reverse prospecting tool. • Realtor.com, Zillow.com, Homes.com, Homefinder.com. Wikirealty.com, RealtyTrac.com, and hundreds of additional syndicated networks.